Here’s the truth: spin classes were not designed for men. But sweat-grunting your way through sets of WODs and HIIT circuits isn’t what we’d qualify as “fun,” either. 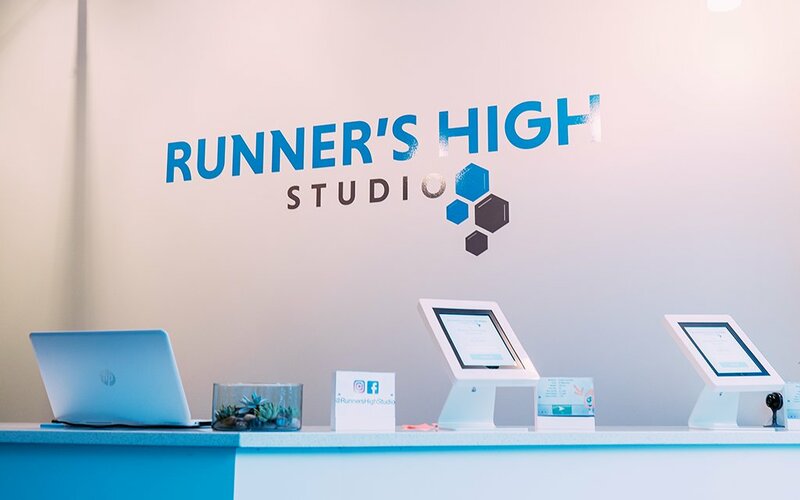 Here’s your happy medium: Runner’s High, the city’s first treadmill-only workout studio. The hell’s that mean, you ask? Think SoulCycle, but less culty. And no stationary bikes, just very nice treadmills. In other words: no goofy shoes. No lingo to master. All you need to do is run. “You can push yourself as hard or as little as you want,” says Runner’s High owner Jeff Levy. Classes range from 30 minutes of sprints to hourlong distance runs for $25 a pop (or 10 classes for $225; 20 for $410). 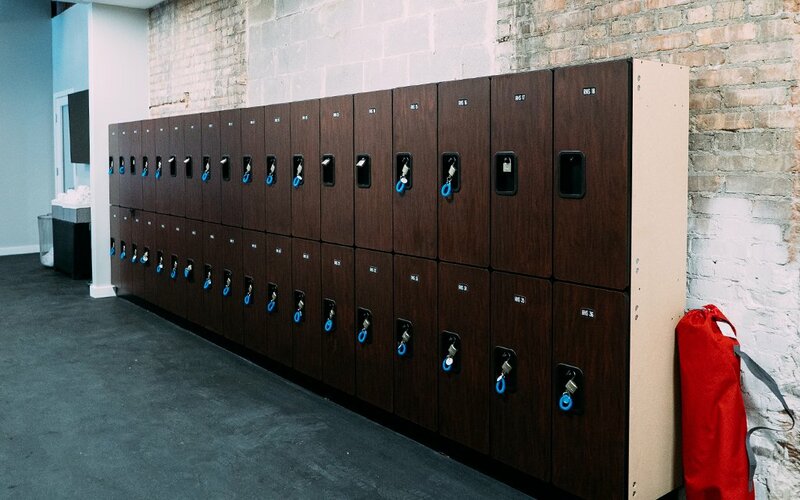 The space itself doesn’t have the same acoustics and techy vibe as, say, a Studio Three, but it has what you need to get a solid workout in: treadmills, A/C, lockers and music with a little untz untz untz. Here’s why it’s worth a try, besides the obvious: Chicago winter. If anything, you’ll wanna bookmark this for when colder climes arrive. New views keep you distracted. They take away from the burning sensation in your legs. They make you forget how much you want to quit. 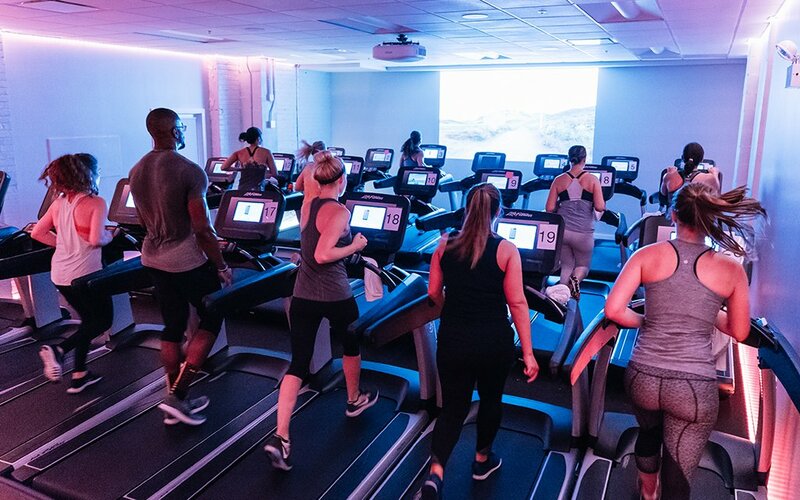 Hence why all 25 treadmills in the studio face a wall projecting running routes from around the world. All part of the plan to get you out of your head, Levy says. The class I tried took me to a volcano park in Hawaii and along a coastal trail in New Zealand. Which easily beat my usual route on The 606. When you sign up for a class, you’ll enter the pace at which you run a mile comfortably. The treadmill will be set to a baseline speed (slower than that mile pace you entered) by the time you hop on. That’ll be the jumping-off point for increasing and decreasing your pace during the class. Not having to touch the screen, and having the treadmill speed up automatically, pushes you to work harder, Levy says. But you should still feel free to bump up the speed if you can go even harder. In my class, the baseline speed wasn’t challenging enough. In the Weekend Getaway class, which I’m told is best for first timers, you’ll run a series of sprints and hills and some steady flat road, too. The point? You won’t get bored. Before you know it, 45 minutes will be up and you’ll have knocked out more miles than you thought you could. Your usual Chicago route likely has close to zero elevation changes. 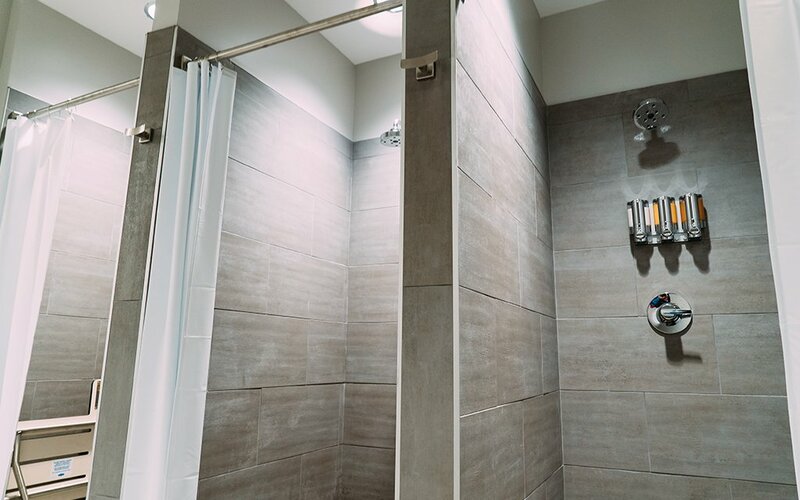 Runner’s High takes care of that for you, like it or not. 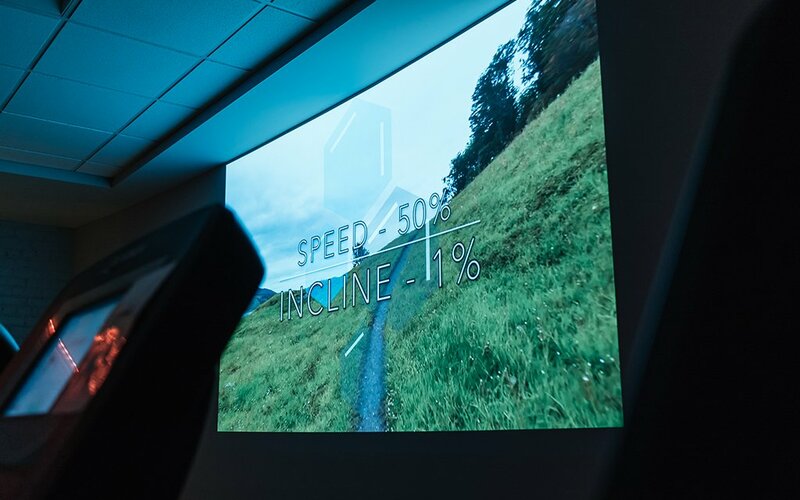 The treadmill’s incline will change during the class (automatically, like the speed). For a real shock to your quads, try the class called We Got Hills. Ever solicit a high-five from a runner on the lakefront trail? That’s what we thought. But in this running studio, it’s way less weird. There’s a sense of camaraderie. So go ahead and be generous with the high-fives.